In a sense it’s like a vaccination, but one done at the genetic level. Last year, researchers in China shocked the world (and alarmed many in the scientific community) by modifying the DNA of human embryos. Now, as reported in Nature News, a research team led by Yong Fan at Guangzhou Medical University has used CRISPR, a powerful gene editing tool, to introduce HIV-resistance into the embryos. This work could greatly aid humanity, helping us better understand how to combat a host of diseases and medical conditions. Of course, such advances will take time (especially given how some fear genetic engineering). But ultimately, the work is equal parts remarkable and promising. The Chinese researchers collected 213 fertilized human eggs for the study, all of which were deemed unsuitable for in vitro fertilization because they contained an extra set of chromosomes. 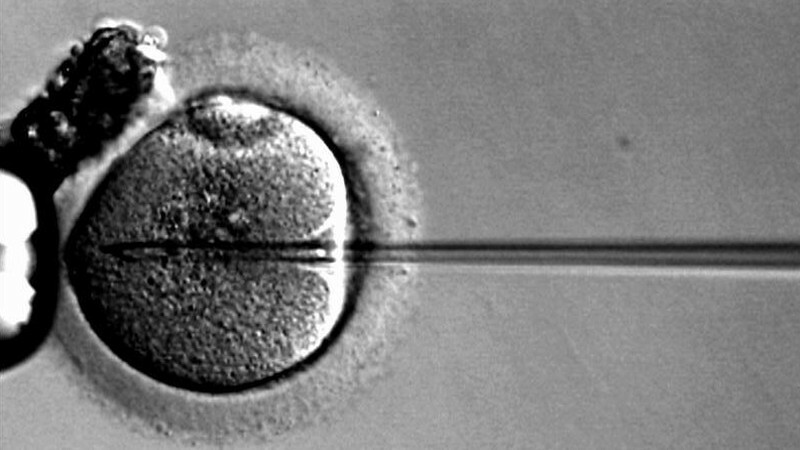 Of the 26 embryos targeted, only four were successfully modified without experiencing unintended mutations. Those numbers may seem small, but remember that this is yet early work. Ultimately, this shows that there are still a lot of technical difficulties, and there’s a lot of work that must be done before we are able to do precision editing in human embryo cells. Thus, actually making humans that are HIV resistant is a long ways off. However, work like this helps us take those first tentative steps. As you might have guessed, any experiment involving modifying human embryos (even those that won’t result in pregnancy) in a lab will result in some controversy. Critics of the new study say scientists shouldn’t be “playing” with human embryos like this, arguing that embryos derived from primates would serve just as well. There’s also concern that these modifications may be passed down to the next generation, which would could result in unforeseen consequences. The scientists defend their research, however, saying they weren’t trying to treat a genetic disease. Instead, they added an immunity to a virus. So in a sense, it’s like a vaccination, but one done at the genetic level. If this technology ever reaches the clinical stage, it could be used to eliminate all sorts of genetic disease. For now though, we’re still pretty far off from being able to use CRISPR in a precise way without triggering unintended mutations. You won’t be seeing this option available publicly for a long time. But there is hope.